'Chinese Thought: from Confucius to Cook Ding' is an engrossing history of ancient Chinese philosophy and culture from an eminent Cambridge expert. We are often told that the twenty-first century is bound to become China's century. Never before has Chinese culture been so physically, digitally, economically or aesthetically present in everyday Western life. But how much do we really know about its origins and key beliefs? How did the ancient Chinese think about the world? 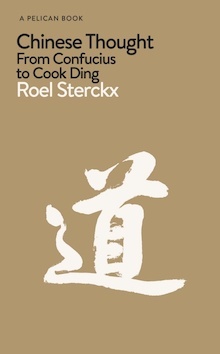 In this enlightening book, Roel Sterckx, one of the foremost experts in Chinese thought, takes us through centuries of Chinese history, from Confucius to Daoism to the Legalists. The great questions that have occupied China's brightest minds were not about who and what we are, but rather how we should live our lives, how we should organise society and how we can secure the well-being of those who live with us and for whom we carry responsibility. With evocative examples from philosophy, literature and everyday life, Sterckx shows us how the ancient Chinese have shaped the thinking of a civilization that is now influencing our own.